We love these colors and flower choices and we hope you will too. 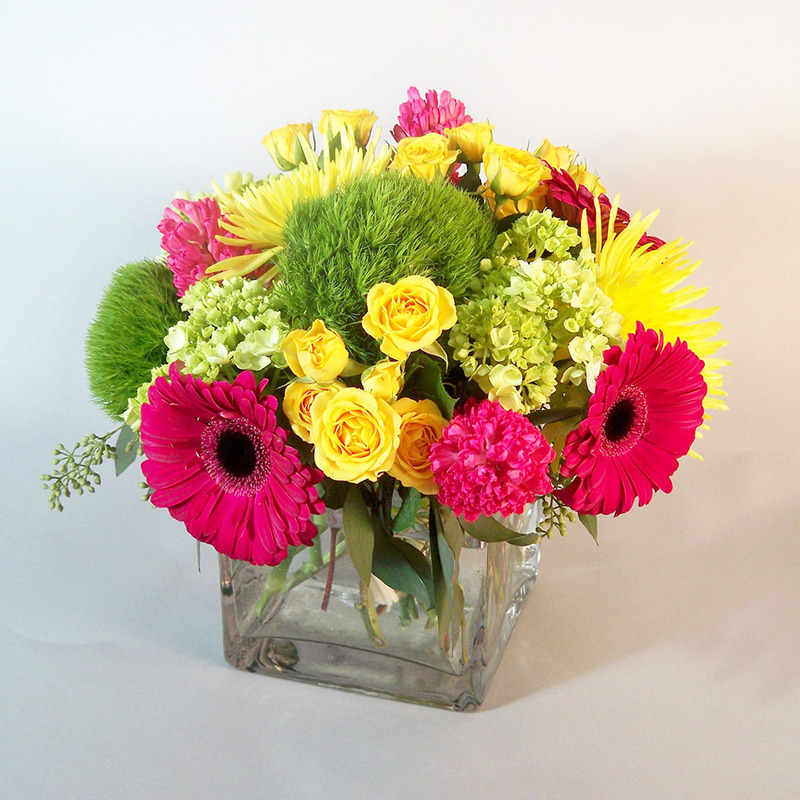 Big fat scrumptious gerbera daisies with yellow spray roses and green hydrangea are the guts of this warm creation and designed in a 5 in clear glass cube. Perfect for an office table or a kitchen table as well.